We will offer 10% OFF for all players and spectators. Please count on Casa to offer a 30% discount on our rates for the event. Mention you are playing in the tournament. unit # 3 is available during Nov27-Dec 2. This is my 3 bedroom townhouse at the Outrigger. I will offer a 20% discount. They are located at 5155 Gulf of Mexico Drive. Phone # is 383-3844. 6351 Gulf of Mexico Dr.
﻿Conveniently located just 1 mile North of the Tennis Center. All units are right on the beach. Amazing views of the beach and the Gulf of Mexico from inside the units and from the outside patios and balconies. Studios, 1 and 2 BR are available. Minimum rental = 2 nights. All units are individually owned so each condo is different. Check out www.seahorsebeachresort.com to view all the options. To make a reservation call 866-383-2417, or make a reservation on line if staying 3 days or more. We also have our Vista #3 *Penthouse – 3 bed/3 bath at $449 (regularly at $699) for families and all ages – up to 6 person occupancy. There are plenty of fun activities for everyone on Longboat Key. 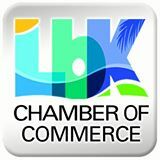 Visit the Longboat Key Chamber of Commerce for great ideas on the Key when you are off the court. 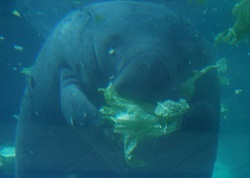 Dining is always exciting on Longboat Key. 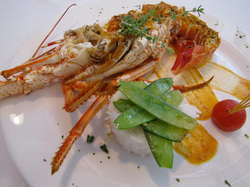 From casual to fine, the food is fresh and memorable. The Friends of Tennis, Inc. is a 501(c)(3) non-profit, charitable organization made solely possible by generous contributions from Longboat Key's Tennis Center members, friends, and visitors. The Friends of Tennis, Inc. (FOT) purpose is to: promote, augment, and enhance the enjoyment of the game of tennis at the Longboat Key Tennis Center Donations are tax deductible, and are greatly appreciated. If you would like to make a contribution, checks should be made payable to The Friends of Tennis, Inc. and mailed to P.O. Box 8164, Longboat Key, FL 34228.